Find the only chess game to reach the given position. 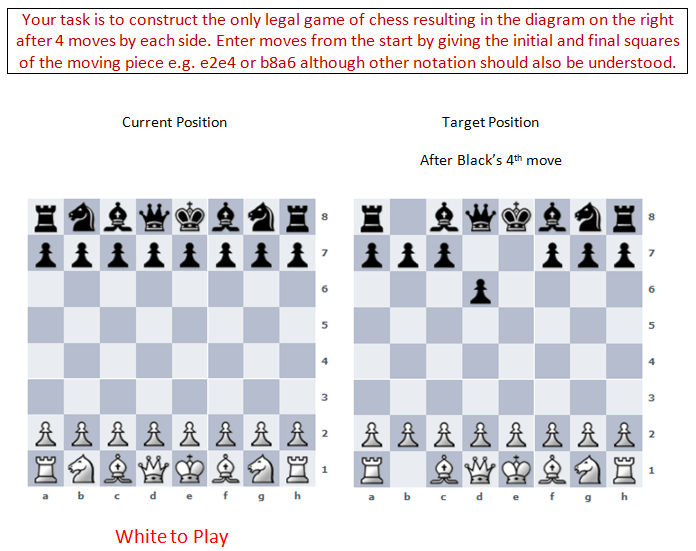 Find the moves of the only possible game of chess to reach the given position after 4 moves by each side. Enter each move giving the beginning and end square of the moving piece, even if a piece is captured. Standard chess notation is also accepted, so to move the white knight to f3 type g1f3 or Nf3 or Ng1f3.